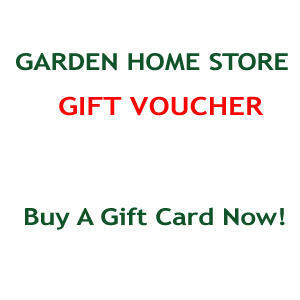 This voucher can be used online at gardenhomestore.co.uk against any purchase on the website. A perfect gift for your home and garden. If you select "Email Gift Card" your voucher will be sent* by email (free). If you select "Postal Gift Card" your voucher will be posted* within a card and envelope (£2.50). or emailed / posted direct to the recipient. Simply confirm the relevant address in the "Delivery Address" section of "Your Information" at checkout. your order upto and including the value of your voucher. can be given, however the remaining amount can be used at a later date off another purchase. The voucher has a 12 month expiry date as displayed on the voucher. 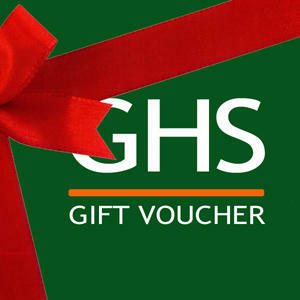 This voucher cannot be used on any other website except the aforementioned gardenhomestore.co.uk. This voucher cannot be used in conjunction with any other offer on the website.